Fine minus book with slight bow to oversize boards, and mild waviness to pages, with slight smudge bottom of limitation page; in a Near Fine dust jacket with light rubbing and several slight overwrite impressions and scratches. This is a limited edition, number 725 of 1500, that is signed on the onionskin limitation page by both Bassman and Calnimptewa. 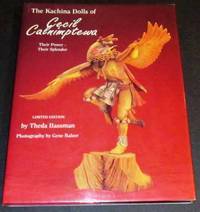 A beautiful book (approx 11 by 9 inches) of full color photography of the Kachina Dolls with text explaining how Calnimptewa does his carving, background on the book, and names of all the Kachinas. ery Good book that has soft spine ends, touch of wear to bottom of boards with small chip to top of front board, light soiling to page block which is slightly bowed away fom spine at top; in a Very Good jacket that has light edge and corner wear, touch of soiling, mild rubbing with several light overwrite impressions back panel, cream colored jacket is slightly sun-lightened on spine. 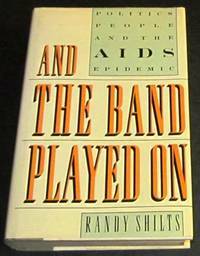 Shilts extensive investigation of all aspects of the AIDS epidemic, with many imbedded stories about AIDS victims. The epidemic spread rapidly because of lack of concern and funding from the Reagan administration, among several other reasons. Shilts was a victim of AIDS, dying at age 42. Shilts worked for the San Francisco Chronicle and was assigned full-time to cover AIDS. UK first edition 1st printing, Near Fine book with page edge yellowing, small sticker has been added below Deutsch on title page that states Published in US by Essential Books and this sticker has left a ghost on opposite page, some internal pages have offsetting from small articles that were laid-in at one time; in a Fair to Good, price clipped, jacket that has edge wear, a number of closed tears, and chips along edges, largest chip is triangular at top of front panel near flap fold and is 1 x 1/2 inch. 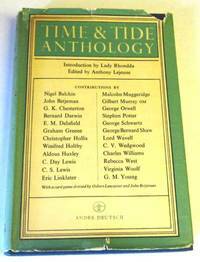 This book contains essays, articles, and poems and miscellaneous from the magazine Time & Tide ranging in time from 1920 to 1956. Contributors include: G. K. Chesterton, Graham Greene, Aldous Huxley, C. S. Lewis, George Orwell, George Bernard Shaw, Rebecca West, Virginia Woolf and many others. A very interesting look at the attitudes and opinions of the UK intellectual class during the first half of the 20th century. 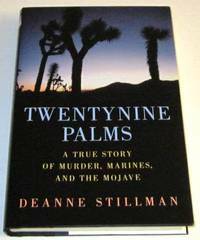 Subtitled: A True Story of Murder, Marines, and the Mojave. Fine, unread book in Fine dust jacket. This copy signed by Stillman on the title page. Stillman unravels details of the murder of two young girls by a marine. Twentynine Palms sits between the world's largest marine base to north and Joshua Tree National Park to the south. Scribners edition of 1958, the 10th printing. Book is Near Fine with light edge wear edges and corners of boards, bit of page edge soiling, page block slightly pulled away from spine at top, and with a small sticker bottom back paste-down - Hudson's Bookshop Detroit; in a Good jacket with edge and corner wear and some color loss, light rubbing, chips along edges especially spine ends, very slight fade on spine, price of $7.50 on front flap has been lightly marked over. 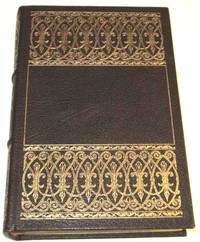 Bound similarly to the 1932 first edition with black cloth boards and gilt design/lettering on spine. 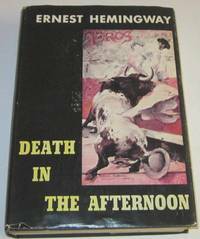 Hemingway's opus on bullfighting, bullfighters, related literary issues, and Spain with numerous B/W photos. Fine minus book in trade wraps with one slight spot back wrapper. This copy has been signed by the authors on the half-title page and is numbered 110 of 275 copies. 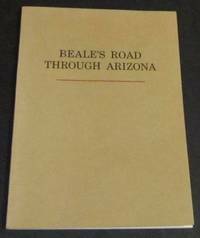 Book documents Edward F. Beale's 1857 Expedition to survey and build a road across northern Arizona (approximately along the 35th parallel) for travel from Ft. Defiance, New Mexico, to the Colorado River. The Expedition also explored the use of camels as pack animals in the Southwest, using 25 camels imported from Tunisia. 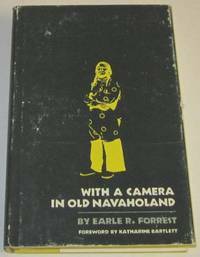 This publication was the first by the Flagstaff Corral of the Westerners International Organization. EARLY PRINTING, a Very Good book with soft spine ends, some rubbing to spine, light edge and corner wear, previous owner name to front paste-down is hard to see, mild age toning to page block. In a Fair dust jacket with chips and wear to spine ends and corners, sun toning to spine, old tape repairs to reverse of jacket, soiling and age toning to entire jacket. 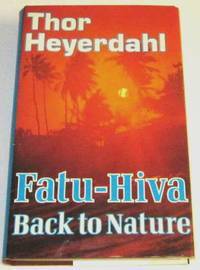 No additional printings indicated, but no date on title page – so early printing with price of $3.50 on jacket flap. Small bookstore sticker to back paste-down: Norton Bros. Books, El Paso. 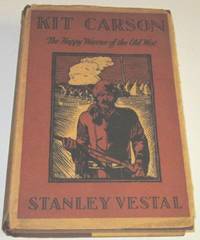 Vestal only devotes about a page to Carson's role in fighting and re-locating the Navajo Indians – Carson was in charge of capturing as many of the tribe as possible and then coordinated "The Long Walk," relocating the tribe to the Rio Grande Valley. This was an infamous episode in the history of the Southwest, during which hundreds of weak and old Navajos died during the long, forced march. Very Good book with mild rubbing on boards and spine, light edge wear, soft spine ends, and with a touch of sun fade along edges of boards. 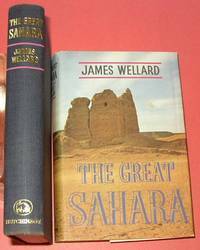 In a Good to Very Good, price-clipped, dust jacket that has edge wear, small chips, several small closed tears, color loss along edges and folds, has an internal tape reinforcement at top of spine. Colors remain vibrant and lettering on spine is not faded as is often the case. 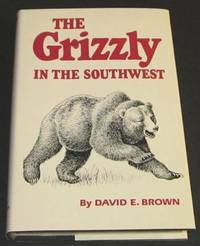 This is Abbey's classic book that is focused on environmental issues of the Southwest, but with broader, national implications. 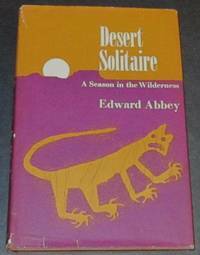 Book resulted from Abbey's experiences as a seasonal ranger (April – September) during 1956 and 1957 at Arches National Monument – now a national Park - near Moab, Utah. Near Fine book with slight edge wear, and soft spine ends. 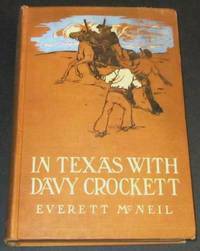 In a Good to Very Good dust jacket that has edge wear, small chips, and a number of closed tears, the largest of which is about two inches along bottom edge back panel, mild color loss along edges and folds. Colors remain vibrant but spine and top edges of flaps are sun yellowed, as is often the case with this sun-sensitive jacket. This is Abbey's classic book that is focused on environmental issues of the Southwest, but with broader, national implications. 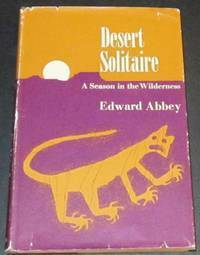 Book resulted from Abbey's experiences as a seasonal ranger (April – September) during 1956 and 1957 at Arches National Monument – now a national Park - near Moab, Utah. Very Good to Near Fine book that has light pushing to bottom of spine, hint of a bump top corner front board, and gift inscription to the front end-page; in a Very Good jacket that has edge and corner wear with bit of color loss, touch of sun fade to spine, and with light rubbing to panels, and couple of slight abrasions back panel. The numerous B/W illustrations/drawings were done by the author. 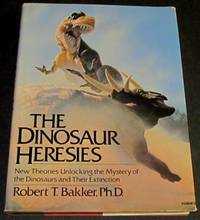 Bakker is a controversial academic who has advanced theories that many dinosaurs were warm blooded, smart, fast, and adaptable. He was a technical advisor for Jurassic Park. Very Good to Near Fine, apparently unread, book that is soft at top of spine, with a slight slant and bowing of binding away from page block along spine, slight soiling to page edges; in a Near Fine jacket that touch of edge and corner wear, touch of rubbing to back panel which aslo has a couple of very slight abrasions. This copy has been signed by Gould to half-title page. 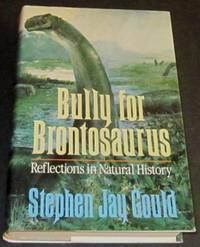 Book collects 35 of author's essays from Natural History magazine – Gould wrote essays on evolution, paleontology, and related subjects for each issue of the magazine from January 1974 through January 2001. Many of these were collected in his books for the general reader. He also wrote numerous more technical books over the years. Gould was a cancer victim, dying in 2002 at age 60. Near Fine in plain wraps, punched and held in variable thickness metal clasp binding – some age yellowing a couple of pencil marks in text. This is a 180 page, single sided, CONFIDENTIAL/CLASSIFIED report that was apparently only distributed internally to 20 persons in Phillips and its author, who had developed the Phillips Research Lab after WWI (first in the country for an oil company). However, there were probably 50 copies produced, since this was number 50 and went to the author. The report is fairly technical and cites numerous references, and presents a number of charts, tables and graphs. By the time of this report, Oberfell was Phillips Vice President for Research. 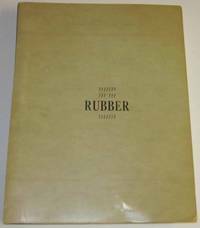 The report concerns the transition to synthetic rubber after WWII. During the war the U.S. government constructed (at a cost of almost a billion 1942 dollars), and funded the operation of, 51 synthetic rubber plants across the country. These plants are shown on a fold-out map. The plants were eventually turned over to private oil/rubber companies, and the report recommends strategies for this transition and how a Standard Oil monopoly should be avoided. Further the report addresses issues related to natural rubber and producers thereof (mostly European Companies controlling the rubber plantations of Southeast Asia), and misleading information being distributed by the both natural and synthetic rubber interests. A very rare internal report, distributed only within Phillips because of the controversial issues discussed. Section titles for Chapter IV give a feel for these issues: Natural Rubber Growers Attempt To Throttle Competition; Standard Oil Company Attempts To Dominate Synthetic Rubber; General Tire & Rubber Company Attempts To Sell A Pig In A Poke; Rubber Industry Attempts To Make Government The Scapegoat. This copy is housed in a mailing package addressed to the author. It is from the estate of Betty Rapp Tarr (one of the first female chemical engineers in the U.S.) who worked in the Phillips Research Lab at the time of this report. She is acknowledged by Oberfell for compiling and preparing much of the document and also for editing it. A rare document that has some historical value relative to both recovery efforts after WWII and also to the Petroleum industry. Two volumes; One Indians and Spain, Two Mexico and the United States. No dust jackets as issued, housed in slipcase. Books are Very Good to Near Fine with slight edge wear. several corners very lightly bumped, gilt on spines rubbed, and with mild age toning to page blocks. Bookplate of John A. Sutherland mounted on front paste-downs. In a Very Good slipcase with edge and corner wear and rubbing. Several small abrasions to front edges exposing white beneath the black. There were numerous book club editions of this title issued in similar black boards and slipcase that can be identified by the small, square blind stamps to back boards. This set is a correct first edition, with no blind stamps and Rinehart R in circle on copyright page. 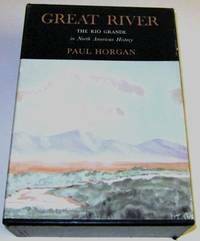 An important historical work for the Southwest that was the 1955 winner of the Pulitzer Prize for History.